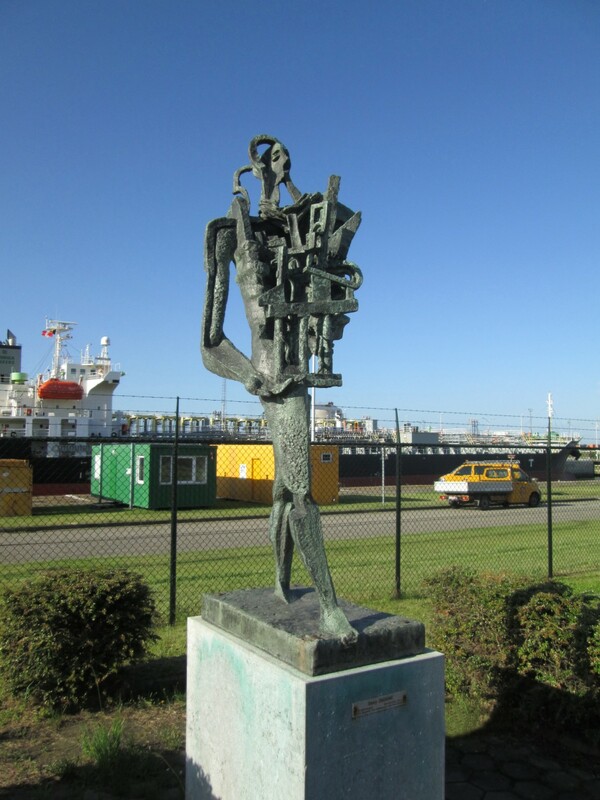 The ESPO Award 2017 will be presented to the port authority that succeeds best in the societal integration of the port with the city or wider community in which they are located, through involvement in art or culture. The five projects that are shortlisted for this year’s Award are the projects of Antwerp, Brest, Guadeloupe, Oslo and Venice. As an old metropolis, Antwerp has always been a centre for culture, art and science. Then and now, Antwerp is unthinkable without its port, but the port is equally unimaginable without its city. Connection is the key concept that is the basis on which the port city and community work to assure the basis of social support for the port. Consequently, the port organises a lot of different events with one clear objective: to give fellow citizens plenty of opportunities to become acquainted with “their” port in an entertaining way and to find out more about it. Culture and art are part of our DNA, so no wonder they play a big role. The new Port House is a great example of the effort to connect the citizens, the city and the port. This iconic building, designed by the Iraqi-British architect Zaha Hadid, combines a replica of an old Hansa building with an all-glass superstructure and forms a unique landmark that is not only innovative, but also sustainable. The Port House is designed to be an open house, welcoming foreign visitors and local citizens alike. The guided visits are constantly being expanded to meet the growing demand and there are numerous requests for events, visits and receptions by national and international companies. Furthermore, the Port of Antwerp uses sponsorship as one of the most important means of making connections with society. The port sponsors one-off initiatives and annual events, but it’s mostly focused on long-term and structural contributions. Some examples are the MAS Museum, the Port Museum, the MAS Port Pavilion and the Middelheim Sculpture Park. With the sponsorship of the ‘Roma theatre’ for example, an old cinema that was restored with the help of many volunteers, we support the ‘can do’ mentality of citizens and the eager contribution of the theatre to the cultural life of the community. The central theme is connection: between the city/region and the port, between a sustainable economy and sustainable living, between the hard economy and the beauty and embellishment afforded by art and culture. For a gateway to the world, for an open society, for connection between people. The original and innovative character of our artistic and cultural involvement in the Port of Antwerp doesn’t reside in what we do but rather in the way we do it. By taking “connection” as the basic principle and framing it within an overall concept, we also manage to connect our involvement. In this way, we create partnerships and combine individual projects into a meaningful whole. Examples include our involvement in the MAS Museum and the opening of an “ambassador’s residence” (the MAS Port Pavilion) at the foot of the MAS. We have also given parts of the former docklands back to the city and invested in their renovation, so that these repurposed areas are given a civic function combined with a port heritage function. In this way, the city is connected physically to the port in a well-planned and socially rewarding way. Another example is our focused sponsorship policy which is not only layered but also geographically spread out so that it meshes with the sustainability of the projects. But perhaps the most important symbol of this vision is our new Port House. This iconic building is not only architecturally important as an aesthetic embellishment of the port and the city, but perhaps even more important is the principle that in addition to being a place for us to work it is also an “open house” for visits by professionals and ordinary citizens alike. First of all we wish to congratulate our fellow ports on the shortlist and we are keen to get inspired by them. That said, the layered approach and sponsorship, working together with all stakeholders, the choice for culture and art as the connecting power with society in general and the city/region and our colleagues in particularly are the core of our engagement. And last but not least, it would be a sign of great appreciation for all the artists, professionals and volunteers in the cultural and artistic world for their engagement and belief in the capacity of art and cultural to make the world a better and more beautiful place. Connection also means communication and support of others, and this on the local, regional and international platform. Communication to inform and invite people (our magazine ‘Haven en Goed’, Leaflets, press coverage…), to share experiences and good practice, join others in national and international forums, like ESPO.